CombatCraft is a local multiplayer game in which the players (2-4) need to kill each other. You control a colored spacecraft and you will receive damage by anything that is colored in other color. Use your skills to evade enemy's missile, dangerous asteroids and hit your enemies. Download link at the bottom of the page! Combatcraft can be played up to 4 players in the same computer. The game is compatible with all main controllers (Steam, Xbox and PS4) although the game is best played with gamepads you can use your keyboard. The game supports any combination between keyboard controls and gamepads. You can see all controls in the controls menu ingame. 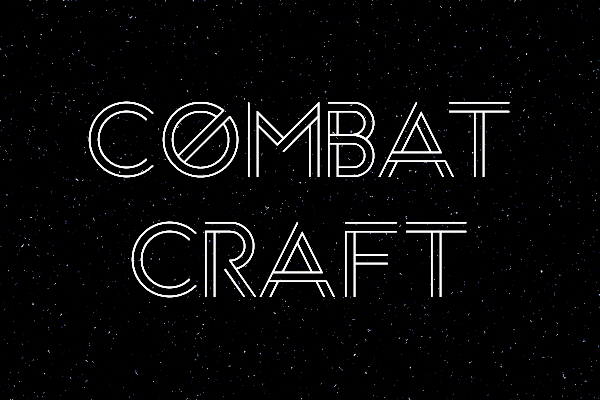 Combatcraft can be defined as a simple game but not as a easy game to win. In order to become a pro player you will need to play strategically and dexterously. Spacecraft Movement: Your spacecraft always accelerates towards its front. Rotating it can make you go slower, and even stop in a point. Mastering your pilot skills is the key for avoiding asteroids, shoots and entering the power-up zone. Missile Movement: As in the real world every missile is effected by relative velocities. This means that your missile adds the spacecraft velocity to its fixed one once you shoot. Therefore your missile can shot really fast of really slow. Missile Cooldown: You can shoot as much as you want, but not as fast as you want. Be careful to shoot in the right second or will may miss the perfect time to kill your enemy. The cooldown is shown by the energy concentration in the front of each spacecraft you can shoot again as soon as it is colored again. As in the image below. Asteroids: Every 30 seconds asteroids will be released upon you! When the screen start to blink just don't panic! Your asteroid can not hurt you, only your enemies. OBS: Ateroids are shown to the player in the spacecraft selection. This was make in that way to help people with colorblindness know which asteroid they can pass through. They also are made with different models to help more. Portals: In each side of the screen there is a portal, each portal is linked to the portal on its reverse side. Only spacecrafts can use it to teleport. Power-ups: Although you are a good player now you can use the power-ups to become even better. They are spawned in the Power-Up Zone, pass through to activate it. Once the power-up is activated your next two shots will receive the power-up bonus. Use them wisely. Homing Missile: The Homing Missile is a technology developed to support your missile to chase your enemies. When the missile detects enemies in its radius it will automatically try to chase them. If more than one enemy is inside its radius in the same time the homing missile will chase the last one to enter its radius. OBS: The Homing Missile velocity magnitude is not modified. This means that it will not slow down or hurry up. It will only direct towards the enemy. Ricochetable Missile: As the name suggest your missile will ricochet from the arena walls. It will bounce 4 times until it lost its damage capacities and be. Super Shield: Once the Super Shield is activated it only goes away when your spacecraft is damaged, sparing 1 of your lifes. Beside the others power ups shields do not stack. Energy Field: A missile with this technology creates an energy area around it. Inside this area every enemy and/or asteroid of your color will be trapped, they can only leave it once the missile is destroyed. Forgot something? Let me know! The first step to help is knowing who make it and maybe seeing our other works. Paulo Ramos: Music Compositor. More info and musics at https://soundcloud.com/pauloramosss/ . The second step is sharing the game :) Please recommend it to your friends! The fourth is rating the game and leaving feedback in comments. Is this the final release of Combatcraft? Just unzip it and be happy.